Imagine my surprise when I started receiving emails from Microsoft last summer that included descriptions of my Office 365 activity, like how much time I spent multitasking in meetings, who is my “top collaborator,” how much “focus time” I had, and the amount of time I spent working “after hours.” After my initial shock at how little focus time I had each week, I realized how powerful this information could be for both me and my team. The fact that Microsoft is now categorizing it, organizing it and providing me with insights into my work patterns not only showed me how much more productive I can be; it also made me aware just how helpful and important this data really is. These new “employee productivity analytics” provide useful insight into employee time management, workplace collaboration and user productivity all in a simple dashboard. Like me, you may be wondering why it took so long for this powerful information to become available in the corporate environment. Even though big data and analytics shed light on virtually every aspect of business, they mainly ignore the business world’s most important asset — human capital. Even in today’s age of the Internet of Things (IoT) where businesses, as standard practice, can track the location and performance of millions of devices and consumers can pinpoint the delivery time of their Amazon order, we have not had much insight into how employees are interacting with key business applications. Companies can monitor your behavior patterns to identify what you’ll probably buy next, but they don’t know if or where their employees are struggling with their software to effectively perform everyday tasks like creating invoices, shipping products, and checking inventory. The new information technology category of employee productivity analytics is finally emerging, thanks to two of the world’s largest software companies, Microsoft and SAP. In addition to Microsoft’s MyAnalytics and Workplace Analytics, the SAP UEM application enables companies to understand exactly how their employees interact with their business software. This means having the ability to track which activities lead to the most errors, identifying which apps aren’t being used, uncovering where workarounds are used to navigate clunky software, and more. Organizations need to ensure that employees have a positive relationship with the technology they use every day. Each application and device that your employees interact with has an impact. If you provide slow, buggy or outdated software that causes lags and errors, forcing users to employ workarounds and repeat work, the result is a negative employee experience. 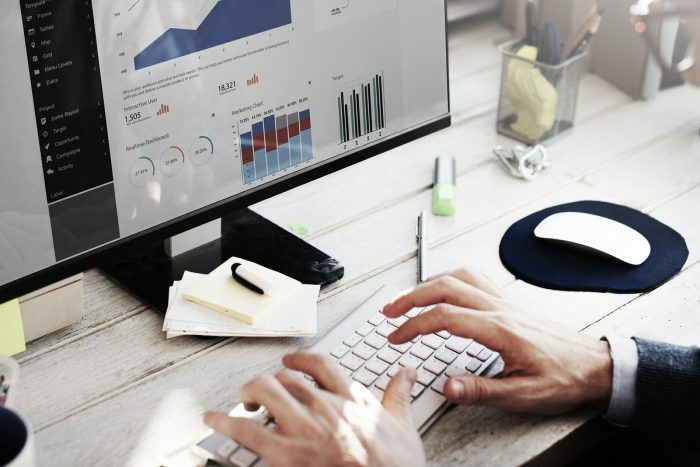 Employee productivity analytics enable you to assess how an application performs for each person — separating real usability issues from opinions — and take corrective action to ensure delivery of all the value you expect from your software. Employee productivity analytics can also play a major role in how companies manage today’s changing workforce. As HR takes a larger role in creating a positive employee experience, it continuously seeks innovative ways to attract, motivate and retain talent (particularly millennials). To help manage these challenges, HR needs insight into how employees spend their time, resolve inefficiencies and collaborate with each other. Perhaps even more importantly, HR needs an effective way to pinpoint training deficiencies and address them immediately, before employees become disgruntled and check out. Employees themselves benefit from employee productivity analysis because, at the end of the day, it helps them simplify their workflow and increase collaboration. Smoother, more efficient workday processes, along with improved collaboration, result in a more engaged workforce. And greater engagement positively impacts overall job satisfaction and the company bottom line. In fact, a 2014 Gallup study suggested that high employee engagement can lead to a 17% boost in productivity and a 21% gain in profitability. By using analytics, this company was able to provide more comprehensive help desk support and proactively identify and resolve problems much more quickly than before. The result? A major boost in user satisfaction ratings. Just imagine the full benefits in employee productivity that are in our sights now that we have tools that reveal process bottlenecks, workflow inefficiencies and application usability issues. Thanks to employee productivity analytics, significant improvements are within our reach.